This 42 gallon recycle receptacle features a 2 way open top that is a perfect size for cans and bottles. Can be used for trash or recycling. Made of commercial grade plastic made in the USA. 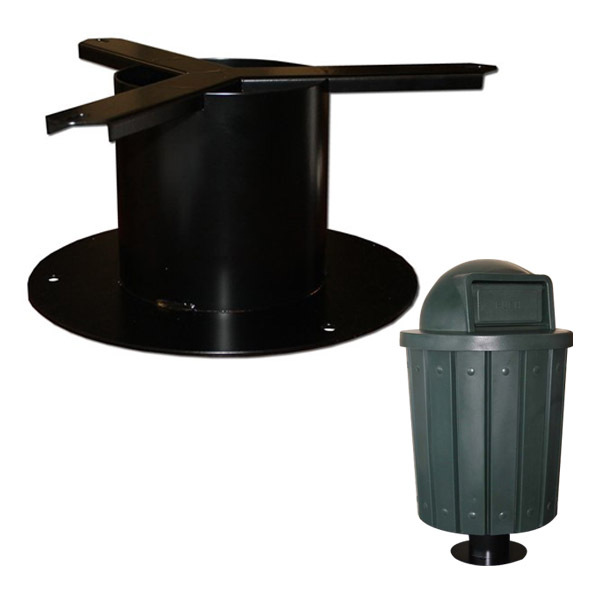 See our optional pedestal that can mount this trash can to concrete. Keep your commercial property clean with this commercial grade trash can.